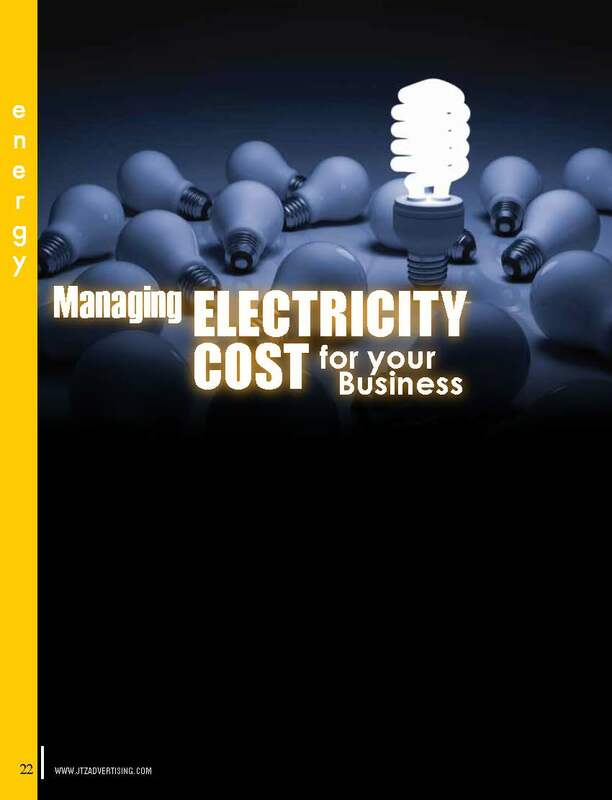 By understanding how and when your business uses electricity, you will be able to discover opportunities to cut costs and boost profits by managing electricity usage during peak times. Your costs are based on how much you use and your peak demand. Cost-saving opportunities are based on how much electricity is being used by your business and the pattern of your usage. Making changes to your operations or equipment can yield significant savings, as not all energy-saving ideas require capital investments. electricity at the most expensive times of the day. Your local utility company or an energy consultant can provide you with data and information to create, view and use your demand profile. An electricity management plan helps to identify goals and systematically work to achieve them. Understanding your business’ technical systems and how your employees operate them are two of the keys to identifying opportunities to use electricity wisely and reduce your electricity costs. Outlining this information in an official plan helps your employees understand what changes need to be made and why. It also helps you track your progress, cost-savings and payback on investments in electricity efficiency over time. You might be surprised to discover that making changes to use less electricity or using electricity wisely does not cost you much or anything at all, and can lead to considerable savings.